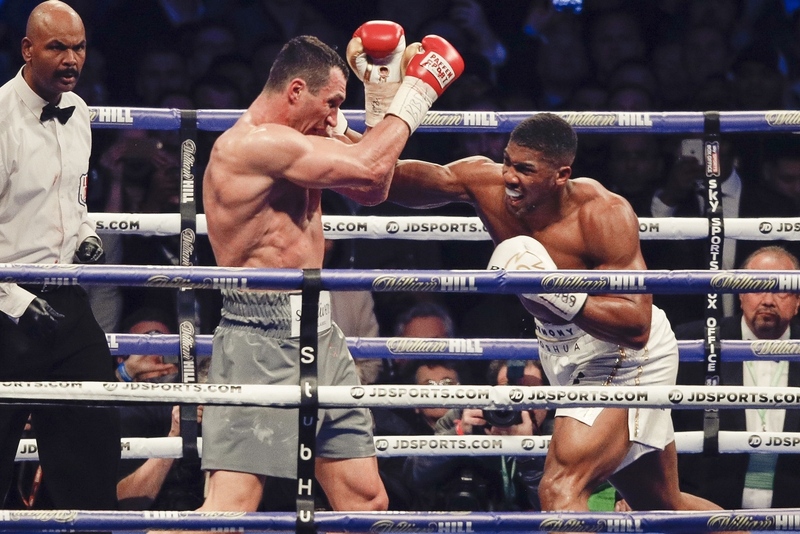 Forget about the IBF heavyweight title Anthony Joshua retained with his thrilling technical-knockout victory over Wladimir Klitschko on Saturday night in London. Ignore the fact that the 27-year-old Brit earned the vacant WBA crown by pulling himself off the mat in the sixth round to floor the heavyweight titan twice before an 11th-round stoppage. The IBO belt Joshua won in front of a post-war record crowd of 90,000 people at Wembley Stadium is a cute accessory—something that will look nice in promotional photoshoots next to his other hardware. Boxing has too many governing bodies to declare one true champion. 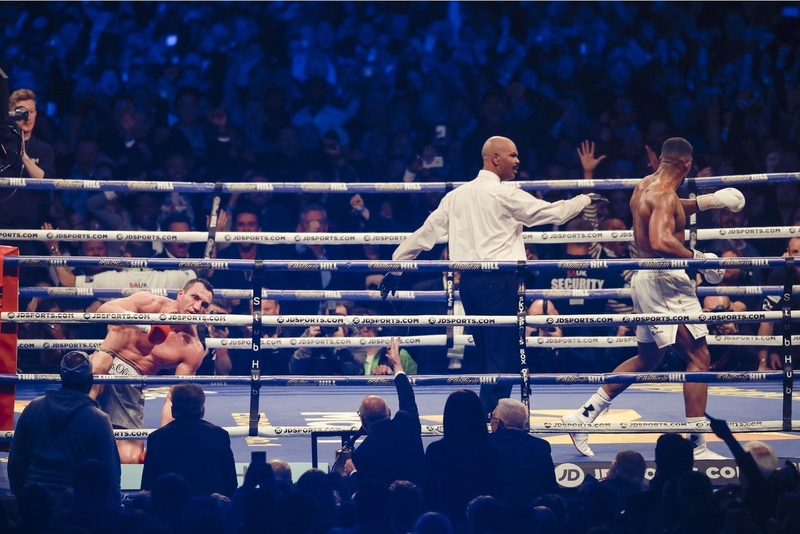 But on Saturday night, in what was easily the best heavyweight title fight of the 21st century, Anthony Joshua (19-0, 19 knockouts) made himself champion of the world. The belts are meaningless. His performance was everything. The former Olympic gold medalist was completely untested before Saturday, knocking out 18 forgettable opponents in a row, and earning a paper title along the way. 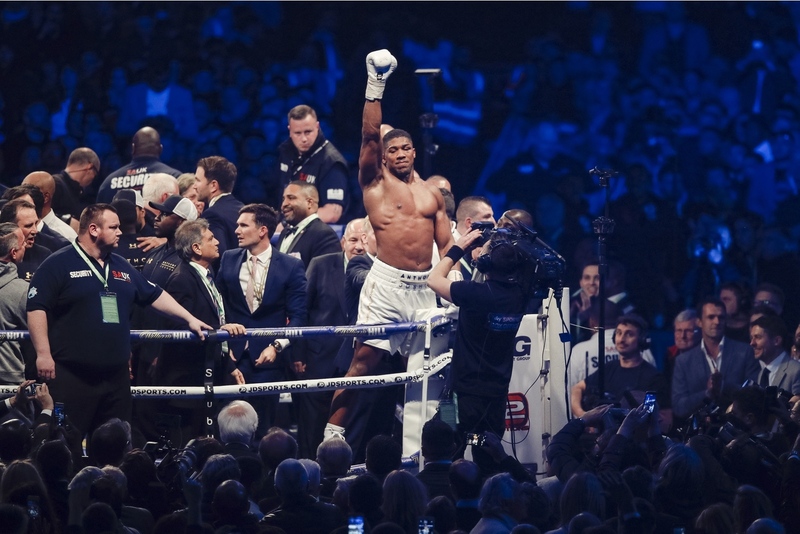 And although he continued that streak at Wembley, becoming the first to knock out Klitschko since Lamon Brewster in 2004, this test was unlike anything Joshua had ever experienced. He didn't just outlast a 41-year-old has-been, which is the kind of accusation being tossed around by those who didn't see the heavyweight division reborn on Saturday. Klitschko (64-5, 53 KOs) was in quite possibly the best shape of his career. But beginning in the fifth round, when Joshua came charging off his stool to stun and ultimately drop the former unified champion, Saturday's bout became the kind of seesaw battle that only seems to exist in the movies. Joshua didn't win the fight in the fifth. In fact, he almost lost it by over-punching and exhausting himself. Nor was the fight over in the sixth, when a revitalized Klitschko handed Joshua the first knock down of his professional career. Rather, Saturday's fight came to an end in the penultimate round because of Joshua's relentless determination and aggression. He didn't just try to survive for a likely win on the cards (two of three judges had Joshua ahead in the 11th). Britain's hero connected an uppercut that will live on as one of the more famous punches in boxing history. The dazed Klitschko would be knocked down twice before referee David Fields mercifully stopped the fight, by which point Joshua was a unified champion and officially the baddest dude on the planet. "I'm not perfect but I'm trying," Joshua said. "I got a bit emotional because I know I have doubters. I'm only going to improve. Sometimes you can be a phenomenal boxer, but boxing is about character. When you go into the trenches that's when you find out who you really are. "I came out and I won—that's how far I had to dig," he added. "I came back and I fought my heart out." If Saturday was Joshua's storybook ending, the scripting of the sequel is well under way. 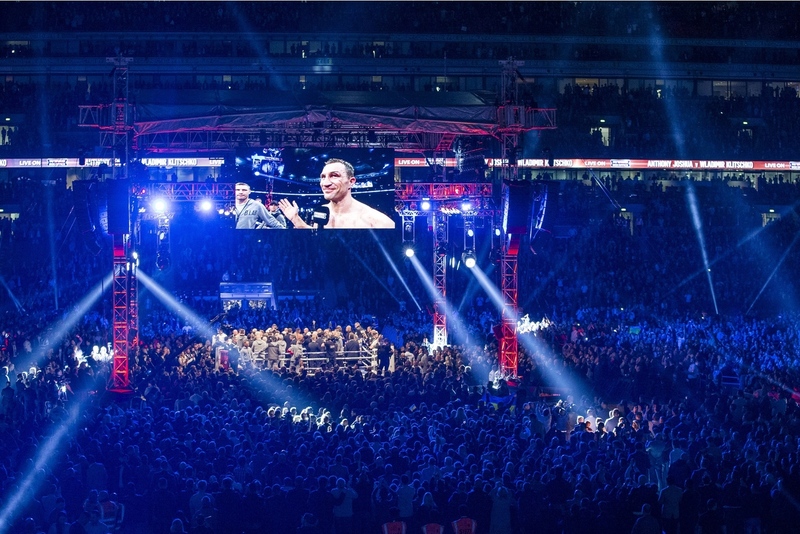 Klitschko has the right to a rematch if he chooses and certainly deserves it. "Of course we have a rematch in the contract," said Klitschko, who landed 94 punches to Joshua's 104, according to CompuBox. "I need to analyze and see what the heck happened. I wish I could have raised my hands, but congrats to him. He got up, he fought back and he won the titles." Klitschko has a life outside of boxing. This could be the right time for him to focus on his litany of humanitarian causes with brother Vitali, the mayor of Kiev, and his longtime partner, actress Hayden Panettiere. WBC heavyweight champion Deontay Wilder respects the heart Klitschko showed on Monday. The Alabama native was ringside, and told Fightland that the Ukrainian legend proved that "age is nothing but a number." But as "electric" as the atmosphere was in London, Wilder explained, he doesn't need to see a Joshua-Klitschko rematch. "My thing is, I don't want him to mess with that reputation," Wilder said. "I don't want him to become one of those champions who keeps coming back and keeps getting knocked out. And now you're messing up your legacy." Of course, Wilder (37-0, 36 KOs) has his own agenda. Like Joshua was before Saturday, the lanky, 6-foot-7 slugger has never really been tested. That's not his fault. Wilder was willing to go to Moscow last year to face Alexander Povetkin (31-1, 23 KOs) before the Russian bruiser tested positive for meldonium. 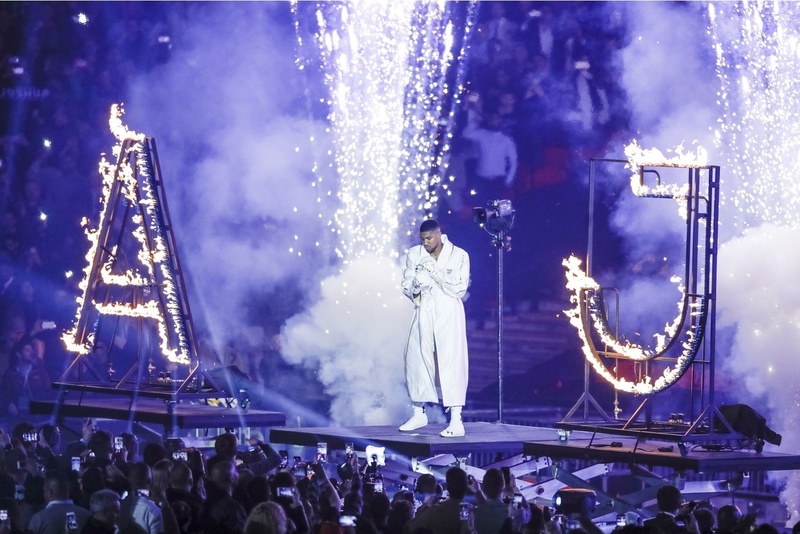 Wilder stayed busy by knocking out Gerald Washington and Chris Arreola down in Birmingham, AL, but in front of crowds of less than 13,000 fans. Compared to boxing-mad Britain, where 10,000 additional seats were needed on Saturday night at Wembley, Wilder is fighting for relative peanuts. Joshua earned around £12million for fighting Klitschko, according to one source, and he signed that deal before he was truly established. Now Wilder wants that kind of opportunity, and he thinks a unification bout between he and Joshua can be even more lucrative. "I definitely figure we could do bigger numbers than 90,000," Wilder said. Joshua's promoter, Eddie Hearn of Matchroom Sport, has said he wants the man known as "A.J." to become a pay-per-view star in America. The question is, without the kind of support that Joshua gets in his native England, will Wilder be able to command such an audience? "Deontay Wilder is an excellent fighter who is exciting to watch, who has a big personality, who, in my opinion, should be a household name," said Hearn. After growing up in Tuscaloosa, where Alabama's football program is king, Wilder is constantly reminded that America cares significantly less about its boxers than countries like Great Britain and Mexico. "If I were from anywhere else in the world, besides America," he said, "I would have that attention because other countries support their people. 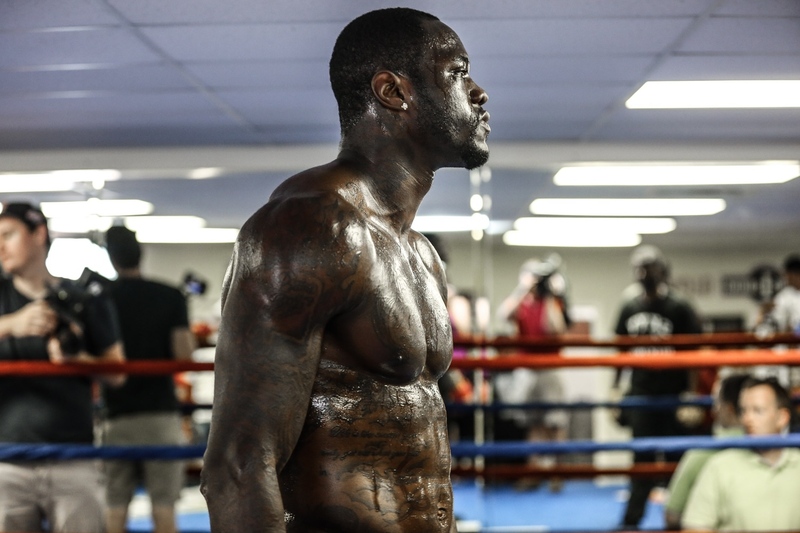 "I've always gotten the short end of the stick throughout my whole career," Wilder continued. "Every time I got a big opportunity, it failed. It didn't go through, it didn't work out, or somebody tested positive for drugs or stuff like that. [A unification bout with Joshua] is my opportunity to prove myself to the world." That might not happen immediately. In addition to a potential rematch with Klitschko, Joshua could face undefeated Tyson Fury (25-0, 18 KOs), the 6-foot-9 Brit who out-pointed Klitschko in 2015 before taking a sabbatical from the sport to address issues with depression. Joshua called Fury out after the fight and the often boorish Manchester native responded by tweeting "let's dance." Wilder has challenged WBO champion Joseph Parker (22-0, 18 KOs), an untested New Zealander, and mentioned former cruiserweight champion Tony Bellew (29-2-1, 19 KOs), a popular English fighter, as a possibility. However, the WBC ordered a mandatory matchup with Bermane Stiverne (25-2-1, 21 KOs) that Wilder finds less appealing. For the heavyweight division to capitalize on Saturday night, unification bouts need to take precedent over low-profile bouts with 38-year-old journeymen. "This is more important than the mandatories right now," Wilder said. "The heavyweight division is heated. It's lit right now."